I attempted a recreating of Pies of Paris, but Meijer let me down and were out of veal so I made it with all pork because pork loin was 1.69/pound. 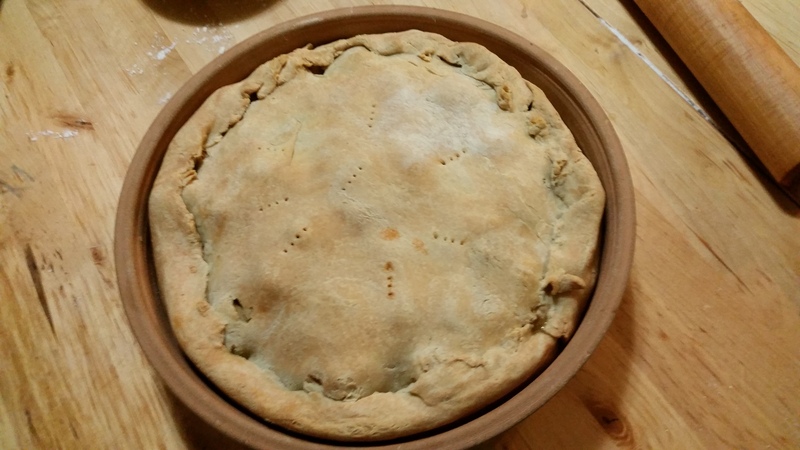 I also made a stab at making a free standing pie but it was being uncooperative and was not structurally sound. In my frustration, I also used whole eggs when all the medieval recipes called for egg yolks. Remove the fat cap and any silver skin from the pork loin. Cut into 1″ cubes. Place in a large cooking pot with broth and wine and bring to a boil. Simmer for 20 minutes, skimming any scum, as necessary. Remove the meat. Reserve a cup of the liquid. Let meat cool until it is comfortable to handle. Whisk the eggs into the reserved liquid. 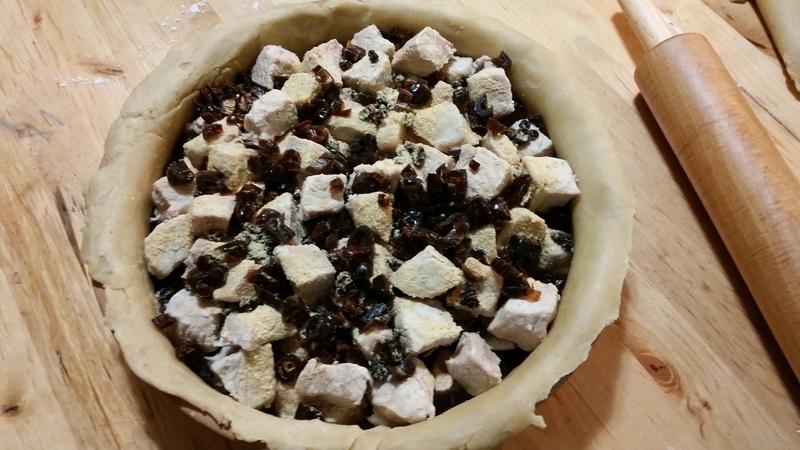 Place the meat in the pie crust, and arrange it so it is level. Evenly distribute the currants over the meat, then evenly distribute the chopped dates. Mix the sugar, salt and ginger and sprinkle the mixture over the meat and fruit. Pour the mixture of the cooking liquid and eggs over the meat. 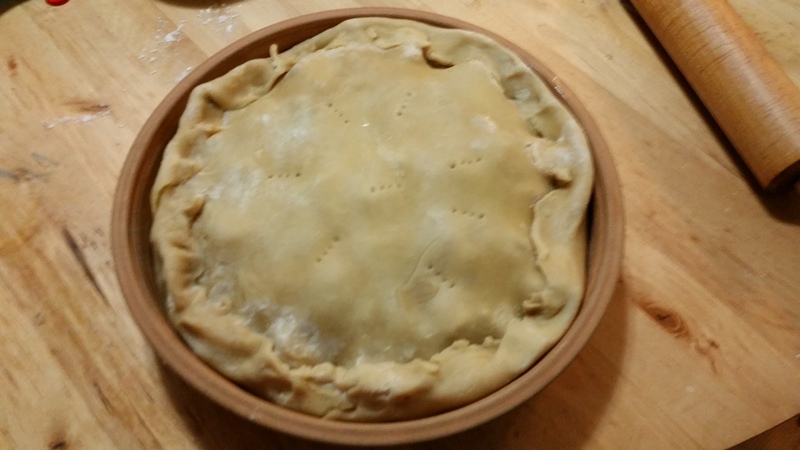 Then cover with the remaining pie crust. Cook in a 350°F oven until the crust is golden brown. About an hour. This took about 65 minutes.